The Leadership of Ray Kroc and his drive to Catering Sales! I decided to write this blog in advance of the upcoming Restaurant Leadership Conference in Scottsdale from March 25-28, 2012. In preparation for the conference, I have been reading everything that I can about Ray Kroc these days. As I dig deeper and deeper into his story, I become more fascinated with his meticulous attention to detail. Like all entrepreneurs, he struggled to make his venture work. He went through the growing pains, set the culture and set a clear direction for his people. He fought hard. As an entrepreneur and working on my 9th business, I can identify with his relentless desire to succeed. He was a fantastic businessman and very passionate about getting it right. I found this really cool video, made by a few creative high school students, Zac Smith, Michael Warren, Jason Kiracofe and Daniel Alweis. I have embedded the video here for all of you to peruse. Good job on the school project boys. I think it tells a lot about who he was and what he was about. I wonder if Ray were here today, what he might tell us about the current state of our multi-unit restaurant industry? I wonder if he would be happy with the outcome of what McDonald’s stands for today. Would he be proud? I wonder what he would say about McDonald’s building a catering revenue channel for his brand? I had a dream this week that Ray read my book. He loved it. Thanks Ray. I appreciate the support. From what I have read, and as I have come to know him through other people’s words, his own book, Grinding it Out, and the number of videos and articles that are available on his leadership and management style, I would venture to say that Ray would have mixed emotions today based on where his brand stands. Sure, he might be proud of the stock price. Or would he? I think he would be horrified at all the negative tweets and comments. Knowing Ray, he would do something amazing to set it all on the right track. 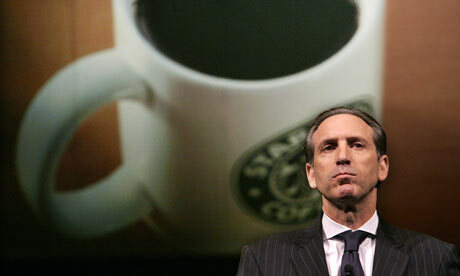 Just as great leaders like Howard Schultz or Ron Shaich have done with both Starbucks and Panera. Oh, and if Ray saw the traction that Panera is getting on their catering operations, he would want a piece of that market for sure. Because that’s what he was about. Being in front. In the beginning, for Ray, and for all our leaders, it was all about looking after his customers. He wanted growth, but not at the expense of diluting his brand and experience. Of course, in the 1950’s and 1960’s, the world was a different place. I am certain that had Ray known that his McDonald’s would eventually become the fast food giant that it became, he only would have wanted it to do so if it was in the best interest of his customers. He had a vision for the business, for the systems, for the experience and for his internal culture. He could not see the negative impact ahead on the dietary issues of fast food on our children and our communities. I have no doubt, that had he seen that, he might have managed it differently. I am certain, that if he were with us today, he would be working very hard to fix it. Today, as McDonald’s continues to be the largest hamburger chain in the world, it still amazes me that even though the culture of Ray Kroc may just be a ghost in the wall, the organization continues to try to adopt to the ever changing needs our consumers. In my opinion, McDonald’s has done a superb job at trying to keep up with the trends, trying to morph their menus towards the more current fast casual type model. Of course, to move a system this large to a new model, is not only difficult, but it requires a tremendous amount of investment and gumption. McDonald’s may not be the healthiest choice in the market place yet, but I predict that in the next 10 years, they will move into the top position of the fast casual market. They will do it, because they have the real estate, the brand and their consumers are going to only shop there if they continue to adapt to the ever changing dietary needs. Especially in North America. So, this brings me to my next question? Will McDonald’s offer catering services that are scaleable across the brand? What will the program look like? I believe that they already have, but they have not hired the right leadership to take them the rest of the way. I found this little nugget in the United Kingdom that really convinced me. Well, it all starts with the Deli doesn’t it? Well, at least that’s how it started for me! So, you tell me! What kind of leadership will it take for our multi-unit restaurant community to finally decide to take catering as a serious business? Especially in the QSR segment. If you have a powerful brand, and you tell your customers that you offer alternative services, they will buy from you. We already know that. So, the next question I have is “can they execute?”. I believe that if any of our community leaders decide to pursue catering as a serious business, then they would in fact see a lift in their sales that our industry has not seen since the day’s of franchising and drive-thru. But, it doesn’t matter what I believe. Or does it? Because like Ray Kroc, I too am an entrepreneur. And so, I will live or die by my conviction and my leadership. And so, as I put this article to rest, I call out to all of you in a restaurant leadership position to really take a hard look at the facts. Catering is here to stay. If we don’t do it, the grocery segment will (as they already are). Ray would want us to compete and compete hard. I believe that catering offers our multi-unit restaurant community a true opportunity to grow. So much so, that I put it on Video, wrote a book and am betting my entire future on this transformative idea. This video is 3 years old. So, it’s now 15 years. Tell me. What do you think? I hope you can share your thoughts with me. This is a great debate! There’s no doubt that catering is the number one way to grow a resturants business in todays world. The only part that I guess I’m not understanding in this article is the tie with catering to Ray Kroc. If this were a presentation to McDonalds for them to become a client for you then I get it. I however read this article for pure pleasure and have a hard time seeing the connection. Ray Kroc did do a lot for the fast food business, but nothing with catering. I think the article would have been more enticing if you would have focused on someone like Ron Schaich who has built a trust worthy brand with an amazing catering business inside his resturants. thank you for taking the time to share your thoughts. There are many leaders in our modern day times that are rolling catering into their services. And leaders like Ron Shaich, Jeff O’Neill (einstein bros), Jim Vinz (Le Duff), Dave Wolfgram, Joe Torres (Jason’s deli), Don Fox (firehouse subs) and others have done a great job. And they continue to do do. For me, the tie in is that our multi-unit restaurant industry is a derivative of much of the work that ray put forward in his years. To create and grow a successful catering channel, it requires strong leadership. Also, as I have been reading more, Ray Kroc and Fred Turner had this fantastic vision for opening locations called “downtowners”. They imagined a time when their customers would bring their food up yo their offices. (take out). Of course, today, catering exists as an opportunity for our brands because of the sophistication of our markets. Our consumers are much more savvy, complex and they have more to choose from. So, catering rises to the top for us as we continue to maintain market share. The other tie in for me with Ray Kroc and catering, is that he created an organization of leaders. We need to do the same thing for catering to really light up our registers. My thoughts. I so much appreciate your comments and for taking the time to write. Please continue the conversation if you have time.